The hotelier is taking advantage of a white-hot Seattle hospitality market. Hyatt Hotels Corporation plans to open 40 hotels in Washington, Oregon and California by the end of 2021, including at least two major properties in the Seattle area to take advantage of increased activity due to the expansion of the Washington State Convention Center. The Chicago-based hotelier said economic growth up and down the coast and an uptick in Asian corporate and leisure travel were motivating factors in the decision. “We see enormous potential,” said Jim Chu, Hyatt’s global head of development and owner relations. Hyatt in December opened a 1,260-room Regency hotel in downtown Seattle – which the company says is the largest hotel in the Pacific Northwest – with 103,000 square feet of meeting space. Two new hotels are planned near Sea-Tac International Airport: a 139-room extended stay Hyatt House and a 237-room Hyatt Place, a casual hotel geared toward travelers. Both hotels are slated to open in 2021. The company also plans a 113-room Hyatt Place in Vancouver, Washington, which is expected to open in 2020. 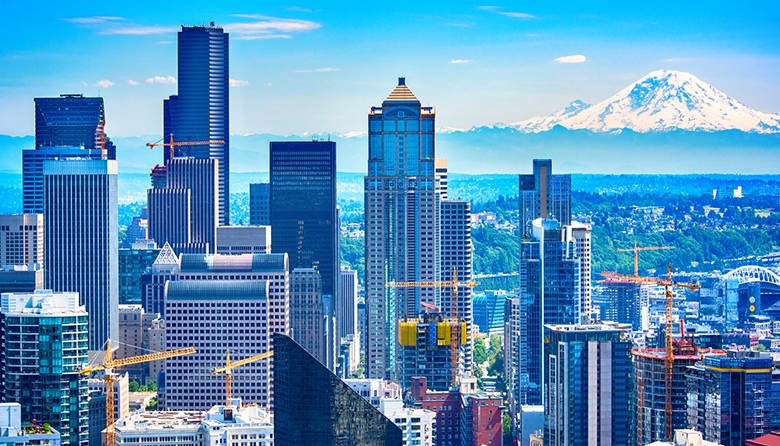 Seven major hotels opened in downtown Seattle in 2018, including the Hyatt Regency, and seven other hotels opened in surrounding suburbs, according to statistics from Visit Seattle, the region’s tourism marketing organization. The average daily room rate of $229 per night last year set a downtown record. Those hotels are expected to be increasingly busy once the Washington State Convention Center expansion is complete in 2021. The $1.7 billion project, which broke ground last August, will add more than 1 million square feet of event and office space. Convention center officials have said the expansion was necessary because the city lost out on 350 event proposals the past several years due to a lack of space, which cost the region more than $2 billion in economic activity.